Your Wish List is essentially a place to save the products you use often. These products can be the blank base products used to create your own, or your customised products that already have your designs uploaded to them. It simply depends on how you use your Inkthreadable account. Our product catalogue is great, but it's big. Really big. The time it takes to navigate to the product you want to use to add something to your account is, essentially, time that could be spent elsewhere! Using your Wish List to save the blank products you use commonly to create products for your store is a great way to save yourself some valuable time. To add a blank product to your Wish List, simply click the Add to Wish List button on its product page. If you head to your Wish List after clicking this button, you'll find the product listed along with any others you've added. Repeat this process for any products that you use regularly and when it comes to adding a new range of products to your store, you'll be able to find them all easily! You can then select a product and add your design in exactly the same way as if you were browsing our catalogue. 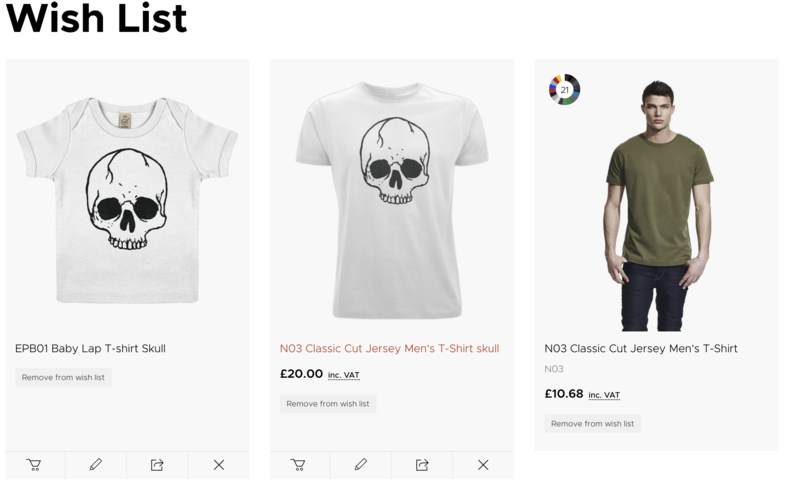 Whilst not too useful for customers integrating with their chosen e-commerce platform (since all orders are placed automatically), saving customised products to your Wish List can save you time when it comes to placing manual orders. It works in a very similar way as for saving blank products. Head to your products page and select one of your designs from those listed. 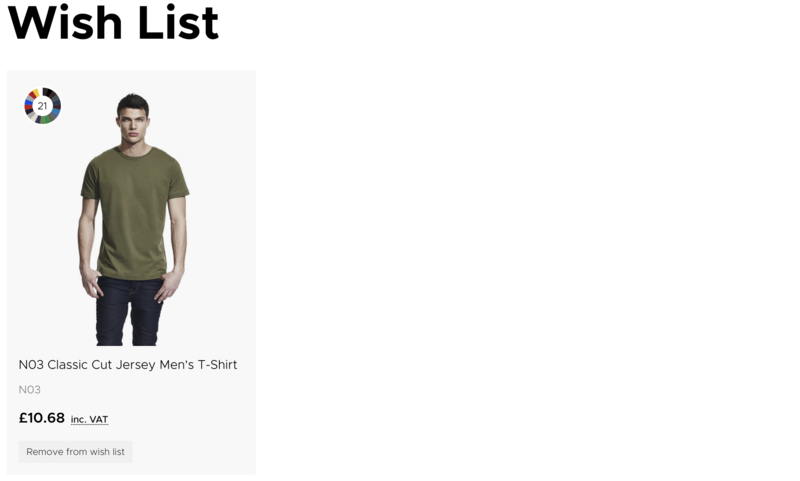 Beneath each product you've added a design to you'll see an Add to Wish List button. Click this to add the particular product to your Wish List. And again, if you navigate to your Wish List you'll find any custom products listed alongside others you've previously added. You can use your Wish List purely for blank products, or customised products, or both! Or not use it all... but we'd suggest using it for something. Why not save yourself a little time? The minutes saved will add up to hours you can spend on customer service, or marketing!